In the small, university town of Gottingen, Germany, a handful of autonomously acting ‘Flower Children’ have decided to rogue-plant cannabis seed in the hundreds of thousands as an act of defiance against the ‘demonization’ of a plant that has been proven to treat multiple ailments. To put it in simper terms, citizens are planting cannabis plants randomly throughout the town to really show officials what the people want. The pro-marijuana supporters point to Germany’s restrictive laws, and many comment on the plants abilities to do more than just get people high. Police continue to pull the plants up, no matter where they sprout, and often mistake non-cannabis plants as the work of the activists. They have been told to be vigilant about removing anything that looks like cannabis. This form of guerilla gardening is nothing new. Another activist gardener, Ron Finley, decided to start planting fruit, vegetables, and herbs in abandoned public spaces like lots, traffic medians, and along curbsides in LA as a means to improve his own neighborhood and provide food and community to his fellow people. 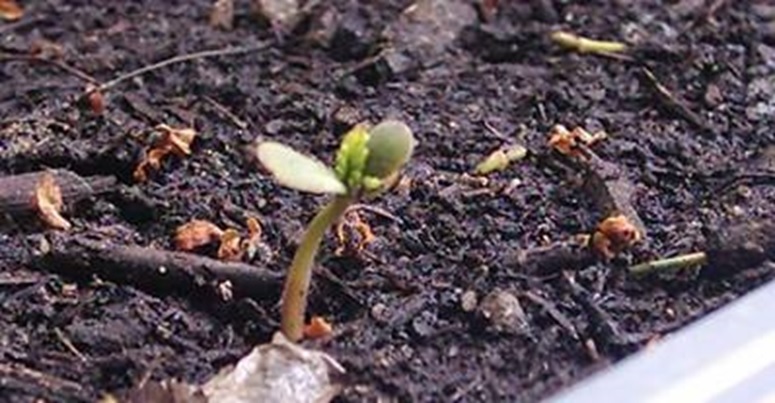 Though the pot-planters are meeting resistance with the local police in Germany, they are successfully demonstrating a form of protest through the appearance of multitudes of cannabis plants that are popping up all over the town. This causes discussion among the residents and causes the people of Gottingen to ask ‘why not pot?” Why is marijuana illegal? There are thousands of peer-reviewed medical journals that point to the efficacy of cannabis as a healing plant, so the activists’ questioning of the current demonization of the plant are not unfounded. The healing plant has been shown to help those with osteoporosis, depression, nausea, headaches, insomnia, and has been shown to treat untreatable seizures. The marijuana and cancer connection is especially strong, with countless studies showing how the plant can beat cancer. The cannabis plants that appeared at the police station in the German town were removed immediately, but they are still popping up all over parks, and gardens elsewhere in the city.